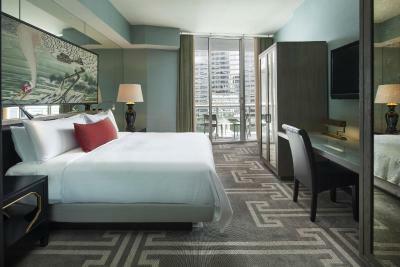 Lock in a great price for W Miami - rated 8.4 by recent guests. I was charged 3 times at this hotel . They said it’s an it error . Up till today . They haven’t refund the other two charges they claimed to be an error. I’ve reported to them and to booking.com .my bank sent information in this regard.nothing have been done .poor customer service.unproffesional behavior. Why charge my card for 3 transactions against 1 night only ? Very suspicious. The hotel was gorgeous, the staff was friendly and inviting. They offered us toiletries and bottled water when we came in and offered us bottled water again when we checked out. the room was very nice and the food for room service. The staff did make up for the shortcomings. Good location for city centre. 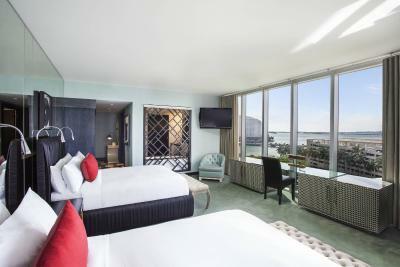 Excellent hotel, great location and great view to the bay. W staff are very friendly and helpful. Excellent service and very efficient process on everything from front desk, concierge and even the restaurant. Our suite was not ready when we arrived and we were compensated by getting 2 extra free breakfast for our teens child. The manager immediately email-ed us. Originally wifi speed & conection were not smooth but it was fixed immediately after we reported. Overall, very happy and definitely will stay again when visit Miami again!. Great location, great view. But Luxury Hotel NO!!! The uncomfortable and dirty sofa bed was old. dirty curtains and lamps with disgusting stains. 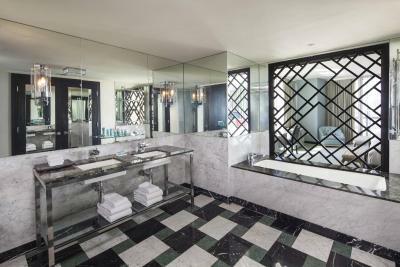 The bathroom was spectacular, the doors need lock.. The pool was closed. The most I liked was the beautiful Spa. but to be a luxurious hotel they need more maintenance. They did not have extra blankets. It was very cold for my friends and I who were celebrating the bachelorette party. 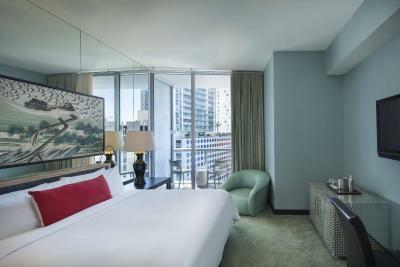 This hotel is located in downtown Miami’s Icon Brickell urban development center. 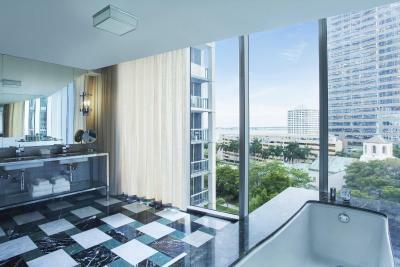 It has a 300-foot infinity pool on Biscayne Bay and a lounge with a private rooftop pool. 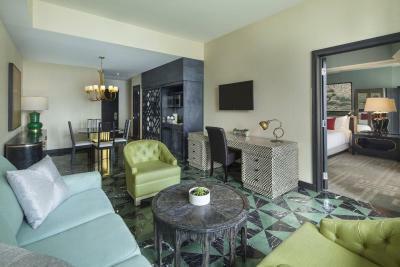 Linens and robes, an iPod docking station, and a 42-inch flat-screen TV with a film library are all included in the contemporary rooms and suites at W Miami. The rooms also feature fully-stocked kitchenettes, complete with a microwave and refrigerator. W Miami has an on-site spa that includes a water lounge. The lounge has a reflecting pool, hot and cold plunge pools, and a floating library. The W Miami’s fitness centre features state-of-the-art equipment and expert trainers. A seasonal American menu is served at 15th and Vine Kitchen and Bar with a view of the pool and Biscayne Bay. FIFTY Ultra Lounge offers wines and cocktails beside a private rooftop pool and a city view. The Miami Art Museum is less than 1 miles from the W Miami. Miami Riverwalk is adjacent to the property and Miami Beach is just 10 minutes' drive. 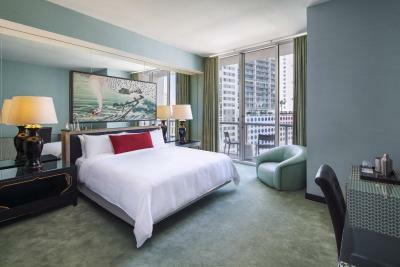 Brickell is a great choice for travellers interested in nightlife, food and restaurants. 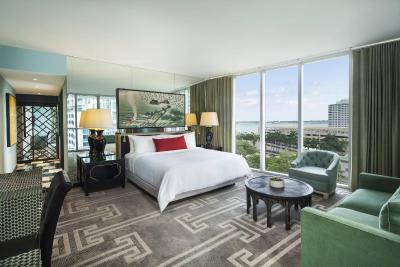 This is our guests' favourite part of Miami, according to independent reviews. 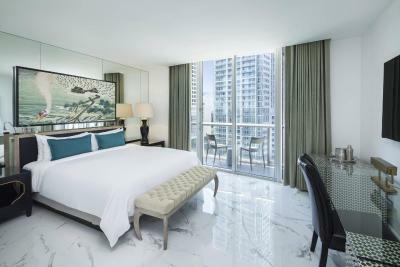 W Miami has been welcoming Booking.com guests since 1 Apr 2011. 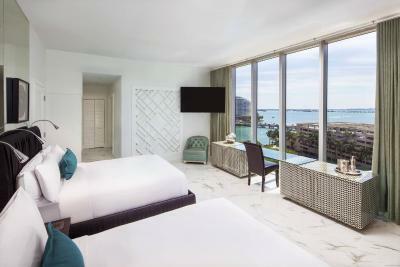 When would you like to stay at W Miami? Hotel surroundings – This neighbourhood is a great choice for travellers interested in nightlife, food and restaurants – Check location Great location - show map Guests loved walking around the neighbourhood! House rules W Miami takes special requests - add in the next step! W Miami accepts these cards and reserves the right to temporarily hold an amount prior to arrival. The breakfast-included rate offers breakfast for up to 2 adults. Any additional guests will be subject to additional charges for breakfast. 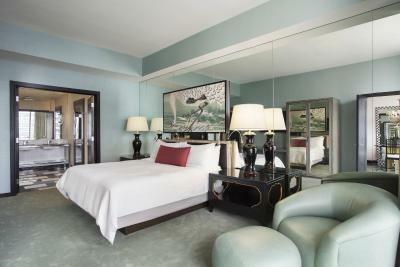 Please note that a deposit of USD 150 per night (up to USD 600 total) must be paid on arrival. This will be returned at check-out, subject to a damage inspection. Only pets 11 kilograms or less can be accommodated. A USD 250.00 fee will be charged per stay. Contact hotel for details. Minor noise disturbances may be experienced during the renovation. Contact property for more details. Like I explained above . I have never experienced such transactions before. What if I wasn’t getting alert ? Will they admit that they charged me 3 times ? And when I raised the issue. What have they done till now ? To rectify? Nothing. It’s shameful. Too much noise from the road, hotel entrance very small. Prices of food and drink very very high compare to Miami prices. Best pool in the world, good gym and Spa very good vibe. Room was extremely dirty. Massive red stains on the carpet. Decor is outdated and repulsive. Staff was so bad. Not what I would expect from the W. The worst W I stayed at and I don’t recommend it to anyone, specially if you are used to high quality service. I had breakfast in my price but wasn’t given the breakfast. The bed was one of the most comfortable beds and bedding I have slept on in a while. I would return back just for this if I needed a place to crash or stay. My tv wouldn’t turn on. I didn’t call down to the front desk because I had work to do and didn’t mind not having it on, but I thought it was odd. Poor wifi connexion on the ROOM, and thé view in thé bathroom could be better. Room 706: Electrical appliances such as bedside lights not all working. Cleaner did not manage to clean room although between 7:30 a.m. and 5:30 p.m. nobody had been in the room. Other people's hair in bathroom and sink. The Internet is a total failure: works only in one spot in the room (in front of the kitchenette, see ohotograph) and is unstable. Log-in required every 1-5 minutes. Useless! Staff could not help and seemed not to care. Cleaner switched the bedside alarm clock that I switched off after it woke me unwantedly up at 6:00 a.m. back on. So I have again been woken up at 6:00 a.m. Receptionist at check out did neither ask whether I enjoyed my stay nor whished me a good day or a good journey. Just nothing. Completely indifferent. 2 nights for US$ 600,- => this hotel never again! The main swimming pool and lounging area was closed for renovation which is shared with the complex the hotel is located within. The staff were extremely helpful and friendly! Great location and surrounding areas. Overcharge on my bill and this was not resolved. Nice place to stay but disappointed.